William Wilkies Barton was born in 1856. He was the son of William A. Barton and Euphony Bagwell. William Alford Barton was born in 1857 in Parke County, Indiana. He was the son of William A. Barton and Euphony Bagwell. Thomas Moore Barton was born on 13 December 1858 in Parke County, Indiana. He was the son of William A. Barton and Euphony Bagwell. Walter N. Barton was born on 9 December 1860 in Parke County, Indiana. He was the son of William A. Barton and Euphony Bagwell. James C. Barton was born on 20 December 1861 in Parke County, Indiana. He was the son of William A. Barton and Euphony Bagwell. Mary J. Barton was born on 30 April 1864 in Rockville, Parke County, Indiana. She was the daughter of William A. Barton and Euphony Bagwell. Margaret E. Barton was born on 19 January 1869 in Jasper County, Illinois. She was the daughter of William A. Barton and Euphony Bagwell. Elvira Violet Bagwell was born on 2 October 1836 in Parke County, Indiana. She was the daughter of William Bagwell and Elizabeth Elliott Martin. As of 5 March 1857,her married name was Snow. Elvira Violet Bagwell married Benjamin Lacy Snow on 5 March 1857 at Parke County, Indiana. Elvira Violet Bagwell died on 4 October 1917 in Raccoon, Parke County, Indiana, at age 81. 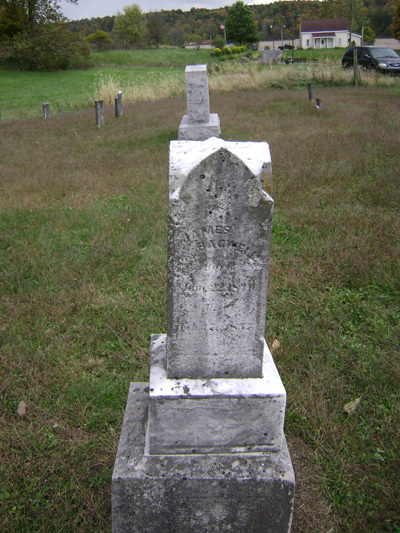 She was buried at Pleasant Valley Cemetery, Parke County, Indiana. Benjamin Lacy Snow was born on 21 August 1833 in Parke County, Indiana. He married Elvira Violet Bagwell, daughter of William Bagwell and Elizabeth Elliott Martin, on 5 March 1857 at Parke County, Indiana. Benjamin Lacy Snow died on 13 February 1904 in Bridgeton, Parke County, Indiana, at age 70. He was buried at Pleasant Valley Cemetery, Parke County, Indiana. James M. Snow was born on 30 December 1857 in Bridgeton, Parke County, Indiana. He was the son of Benjamin Lacy Snow and Elvira Violet Bagwell. Minerva Ann Snow was born on 4 November 1860 in Bridgeton, Parke County, Indiana. She was the daughter of Benjamin Lacy Snow and Elvira Violet Bagwell. Jane E. Snow was born on 23 September 1862 in Parke County, Indiana. She was the daughter of Benjamin Lacy Snow and Elvira Violet Bagwell. Mary Evelyn Snow was born on 26 August 1864 in Parke County, Indiana. She was the daughter of Benjamin Lacy Snow and Elvira Violet Bagwell. William Bert Snow was born on 18 June 1869 in Parke County, Indiana. He was the son of Benjamin Lacy Snow and Elvira Violet Bagwell. Cecil Cushing Snow was born on 14 February 1881 in Parke County, Indiana. He was the son of Benjamin Lacy Snow and Elvira Violet Bagwell. [S404] Sarah Bagwell Mitchell Grave Stone, Find a Grave, www.findagrave.com. [S1049] J. Oscar Mitchell Grave Stone, Find a Grave, www.findagrave.com. [S405] William Mitchell Grave Stone, Find a Grave, www.findagrave.com. James Bagwell was born on 27 June 1840 in Parke County, Indiana. He was the son of William Bagwell and Elizabeth Elliott Martin. 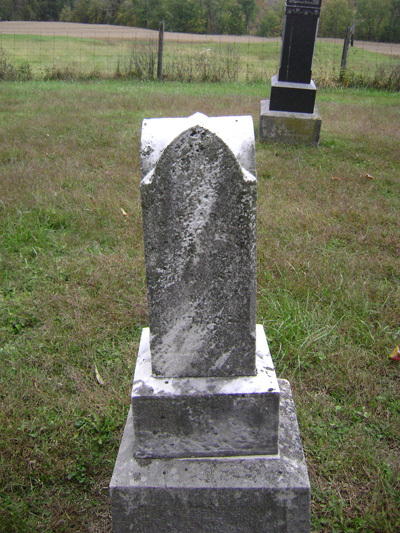 James Bagwell died on 17 February 1857 in Parke County, Indiana, at age 16. He was buried at Martin Cemetery, Parke County, Indiana. Mary Angeline Bagwell was born on 14 June 1842. She was the daughter of William Bagwell and Elizabeth Elliott Martin. As of 10 August 1865,her married name was Owen. Mary Angeline Bagwell married Dr. Owen J. Owen on 10 August 1865 at Parke County, Indiana. Mary Angeline Bagwell died on 31 January 1930 in Conway, Faulkner County, Arkansas, at age 87. She was buried at Oak Grove Cemetery, Conway, Faulkner County, Arkansas. Dr. Owen J. Owen was born on 23 January 1842 in Cloverdale Township, Putnam County, Indiana. He married Mary Angeline Bagwell, daughter of William Bagwell and Elizabeth Elliott Martin, on 10 August 1865 at Parke County, Indiana. Dr. Owen J. Owen died on 22 September 1905 in Greenbrier, Faulkner County, Arkansas, at age 63. [S402] Lovina Frances Thompson Grave Stone, Find a Grave, www.findagrave.com. [S403] William Layton Thompson Grave Stone, Find a Grave, www.findagrave.com. [S400] Rivanna F. Sappenfield Grave Stone, Find a Grave, www.findagrave.com. [S349] Barbara Bagwell Grave Stone, Find a Grave, www.findagrave.com. [S356] United States Federal Census, Washington, District of Columbia, Population Schedule: Township 17, Choctaw, Mississippi, Page: 35, Dwelling: 366, Family Number: 354, Date: 1860. [S358] United States Federal Census, Washington, District of Columbia, Population Schedule: Subdivision 23, Choctaw, Mississippi, Page: 58 or 140 (both entries on page), Dwelling: 410, Family Number: 410, Date: 1850. [S1072] L.W. Bagwell Grave Stone, Find a Grave, www.findagrave.com. Esmina Laura Bagwell was also known as Ermina Bagwell. She was born circa 1848 in Choctaw County, Mississippi.1 She was the daughter of Henry B. Bagwell and Angeline Thompson.2,1 Esmina Laura Bagwell died in 1860 in Mississippi. 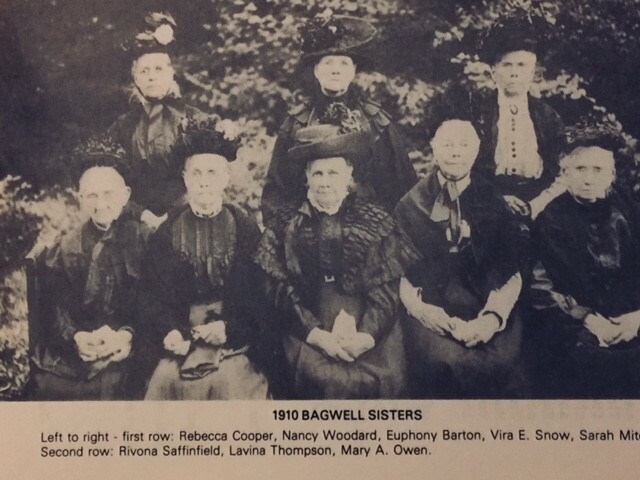 Margaret Bagwell was born on 30 November 1849 in Choctaw County, Mississippi.1 She was the daughter of Henry B. Bagwell and Angeline Thompson.2,1 As of 1872,her married name was Barron. 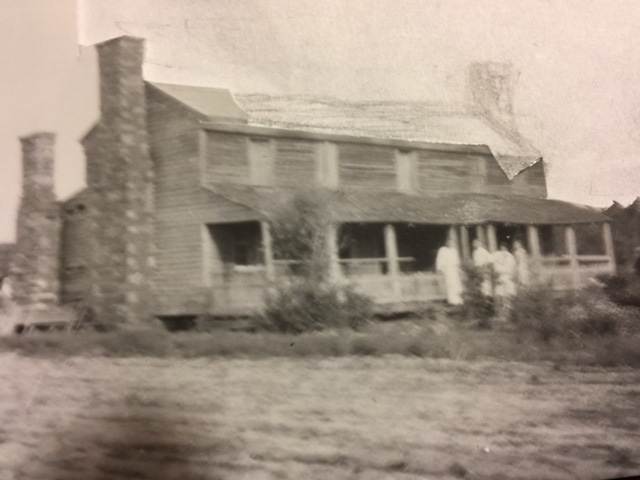 Margaret Bagwell married Zachery Peyton Barron in 1872 at Choctaw County, Mississippi. Margaret Bagwell died in 1898 in Choctaw County, Mississippi. Zachery Peyton Barron was born on 21 January 1851 in Ackerman, Choctaw County, Mississippi. He married Margaret Bagwell, daughter of Henry B. Bagwell and Angeline Thompson, in 1872 at Choctaw County, Mississippi. Zachery Peyton Barron died on 2 March 1899 in Choctaw County, Mississippi, at age 48. Quitman Sharp was born in March 1870 in Whitefield, Oktibbeha County, Mississippi. He was the son of John Washington Sharp and Christine (Christiana) Bagwell.